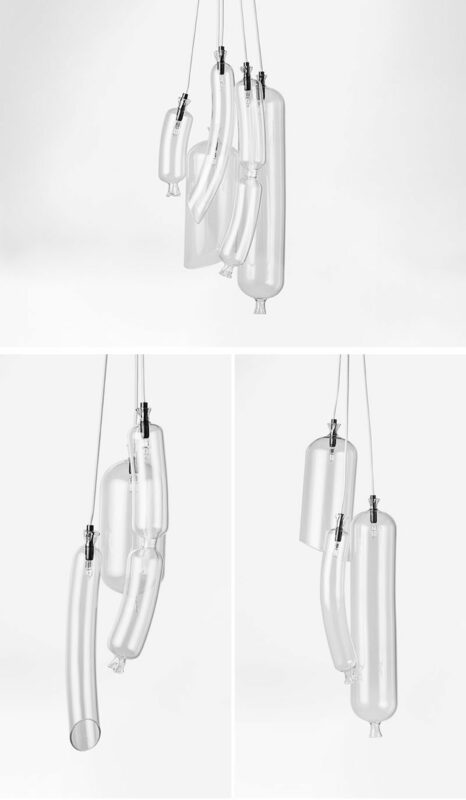 French designer Sam Baron has created a collection of unique suspension lights for Petite Friture, that are named ‘SO-sage’. 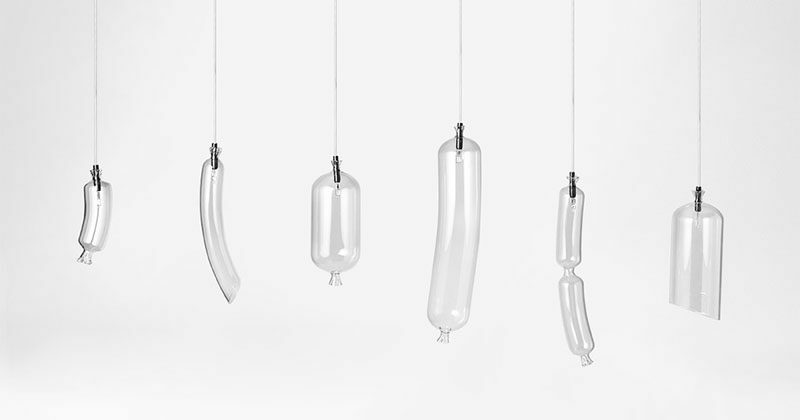 The pendant lights have been designed so that they look like glass sausages that hang from the ceiling, much like they would in a traditional butcher shop. There are six different shapes and each one is shaped after a different sausage type. 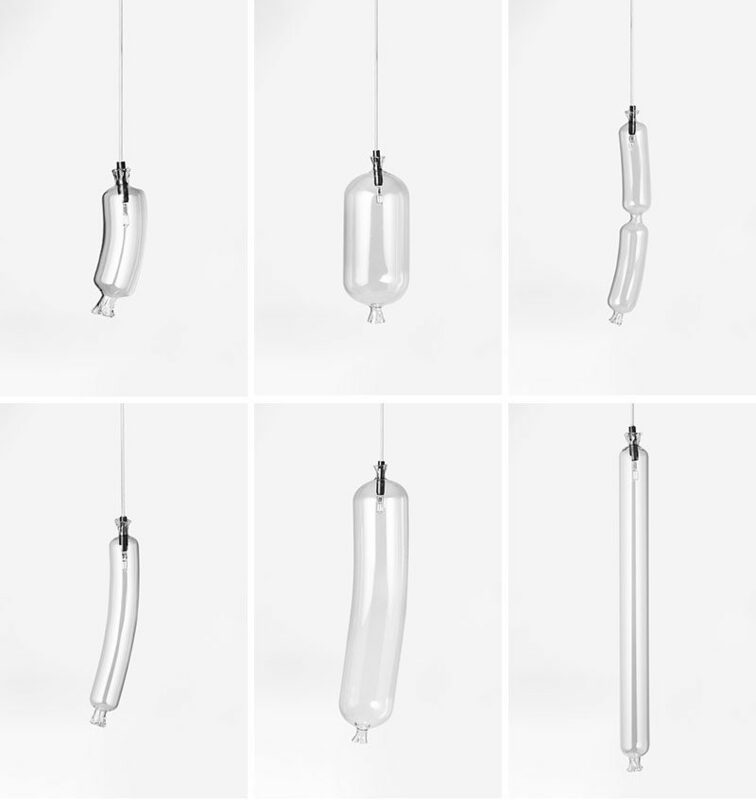 They can be grouped together or hung individually, and are made from Borosilicate glass.